Did you know that the Blendtec is the only blender on the market that can crush ice into a fine snow without adding water or any other steps? That's right! And it is done in a matter of seconds! We'll tell you how to turn ice into snow. We also have three mouth-watering homemade, fresh fruit syrups to try on your snow cones - so much better than paying for snow cones with artificial flavors! Add ice cubes to jar and secure lid. Blend on a medium speed for 7-10 seconds or until desired consistency is reached. *For best results, use ice cubes directly from freezer that have not begun to melt. For a more "Adult" version of this snow cone, try one (or both) of the variations we have on the recipe page. Add ingredients to FourSide or WildSide+ jar and secure lid. Select "Syrups" (if you don't have the "Syrups" cycle, use "Soup" or "Hot" cycle or blend on a high speed for 90 seconds). Add fruit puree to Medium saucepan and bring to a boil. Once boiling, reduce heat and simmer for 10-15 minutes to thicken. Remove from heat and place in heat-proof container with lid (we used canning jars). Chill in refrigerator until cool or ready to serve. Pour approximately 2 tbsp syrup over every 1/2 cup ice and serve. Enjoy! Awesome list. I just loved it. It is easier to just buy the syrup in different flavors at Walmart. Blendtec is the only one that does what it says about using ice only. Before getting my Blendtec I had two vita mixers, both had to add water. I kept ordering different ones and that was the criteria if it did not make snow it got sent back. Blendtec delivered. Being diabetic I found the premade syrups was the best for kids and adults. Or just top the snow / ice with a natural sweetener like pure maple syrup! We have tried the syrups. I would recommend straining afterwards even though I like the idea of a little bit of fruit fiber with it. It tends to sit on top of the ice rather than seeping in. I haven’t tried straining yet but planning on it today. I’m also going to try using organic white grape juice instead of simple syrup. I’ll let you know how it turns out. I’ve been buying my syrups premade, because I can be lazy in hot weather — which is all the time in socal — but these recipes look great! Especially with the fresh fruit — with stevia, they would make a great healthy snack! Push the arrow up one more time. it will stop after about 3 seconds. vanilla syrup and Eagle Brand milk….. just like homemade ice cream! raspberry syrup and Eagle Brand milk…. rasberries and cream! coconut syrup, vanilla syrup, and Eagle Brand milk….. YUM! Can’t wait to make the mango peach syrup! This recipe can be done in either the FourSide jar or WildSide+ jar. Or our older WildSide, if that is the one you have. so….can’t do this in the regular container, only in a jar? Each recipe is 17-22 servings of 2 tbsp. We recommend about 2 tbsp per 1/2 cup so it depends on how much you’d like to serve each person. Also, if you click on the image or title of the recipe, it will take you to all the nutritional information. Hope this helps! Love your recipes. Can we include serving information on the recipe so that we know how many people we canserve for each recipe? Thank you. I haven’t tried these recipes but I have made a “snow cone” with strawberries, lime juice and honey syrup. I just made it up as I went along so not positive, but I would guess about 3 or 4 cups of ice, 1.5 limes juiced, 4 strawberries, and about 1/2 cup of chilled honey syrup (I keep it in fridge for ice tea. 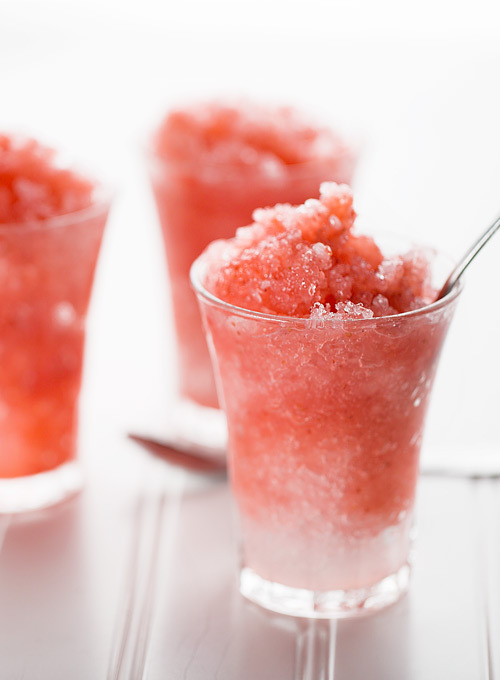 Frozen strawberry limeade! Another way to avoid refined sugar…. I have also heard that juice concentrate found in the freezer section works well. Something high in natural sugars like pineapple or grape would probably works best. Love these syrup ideas. I’ve made snow cone ice in my Blentec several times but used the store bought syrups or fruit juice. Can’t wait to try these! It will stay good for up to a week. You can use a different sweetener, such as Truvia. Start with half the amount and add more, if needed, to get desired sweetness. Changing the sweetener will also change the consistency of the syrup. A different sweetener can be used (Stevia, Truvia, etc.). Start with half the amount and add more, if needed, to get desired sweetness. Changing the sweetener will also change the consistency of the syrup. Do you know how long the syrup will keep in the fridge? It made A LOT of syrup even after reducing. Eve, it’s not that much sugar in one serving (2 Tbs) The one cup makes a whole batch of simple syrup for a good number of sno cones. Of course you can always swap out for another type of sweetner like I would since I’m diabetic, but in reality, this recipe is not that high in sugar levels. What blender model do you have? I think the syrups can be made without sugar and without heating to dissolve. Simply add Stevia or xylitol to the purée and chill. Sounds great Eve. We’d love to hear how it turns and how much sugar you end up using. Eating healthfully means not loading up with sugar like in these shave ices. How about a version for diabetics or a link to the same recipes using Truvia or the best tasting sugar alternative for diabetics? I need to reduce my sugar intake, and my daughter-in-law doesn’t want us to feed the grandkids too much sugar. 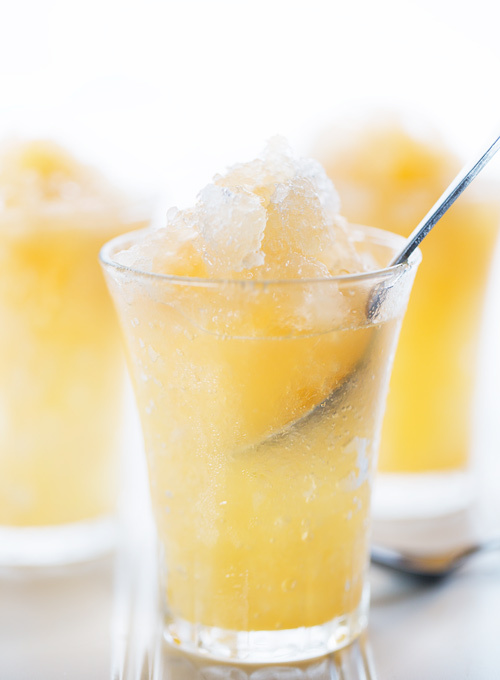 Do you have snow cone ‘syrup’ recipes without the added granulated sugar? or with reduced sugar? 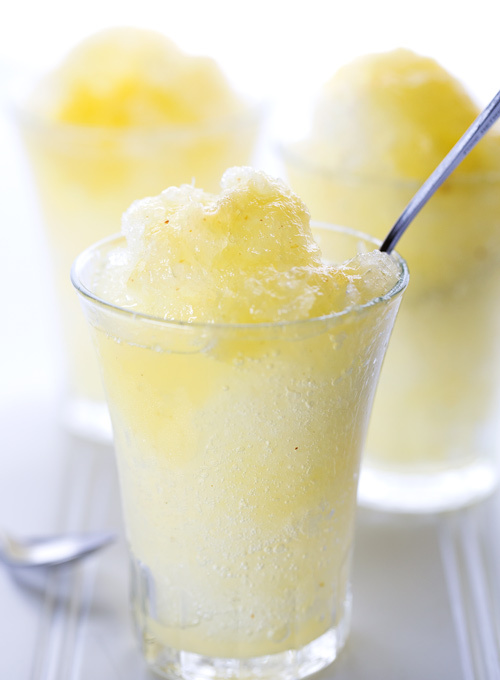 Thank you, and the grandkids will love you for no/low sugar snow cone recipes ! Seriously? Snow cones? I am not using my Blendtec enough, apparently. Great idea. These look wonderful, but so much sugar. I’m going to try and reduce it substantially and will let you know how it turns out. Has anyone tried making any of these snow cones? If so did your children like them?